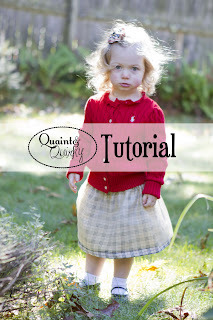 As promised, here is my Inside Out Skirt tutorial! You can see the original Inside Out Skirt here. 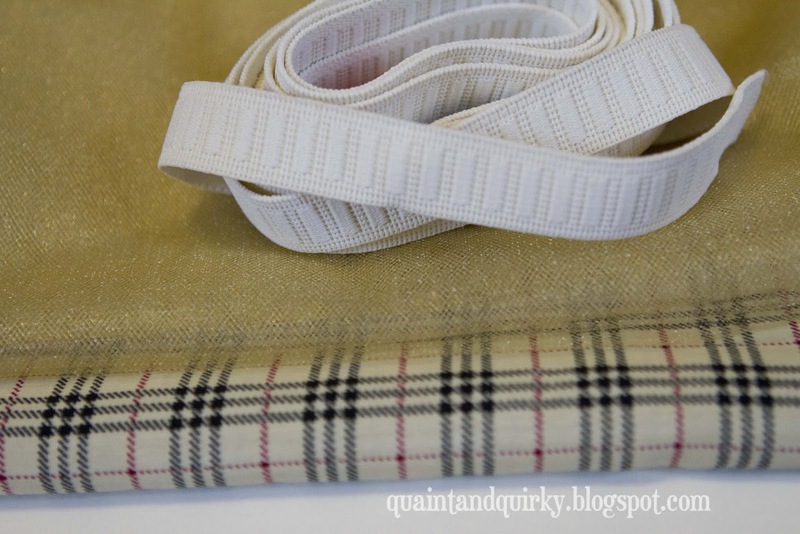 To start with, you will need fabric, tulle, and elastic. 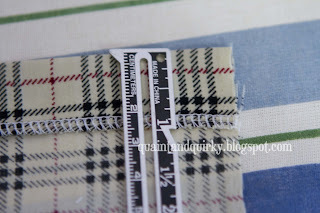 For length, you take the finished measurement you want and add 2.5 inches. 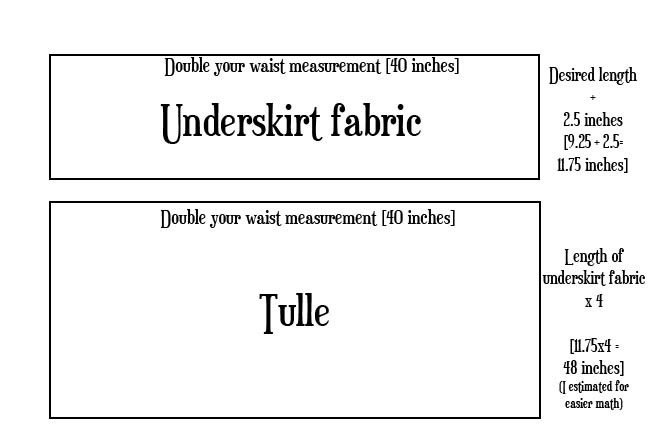 For the tulle, you need the same width as the underskirt fabric. 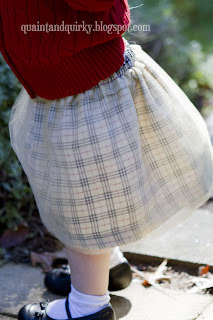 Then you need the length of the skirt multiplied by 4 (so you will have four layers of tulle on top of your skirt). Here is an illustration, with the measurements I used in brackets. Step one: Cut everything out. Step two: Sew the underskirt. I used my serger for this project. 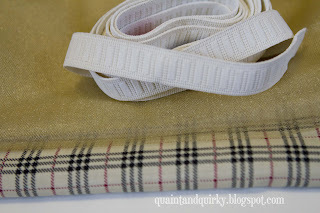 If you do not have a serger, you will just need to do a few extra steps. 1. 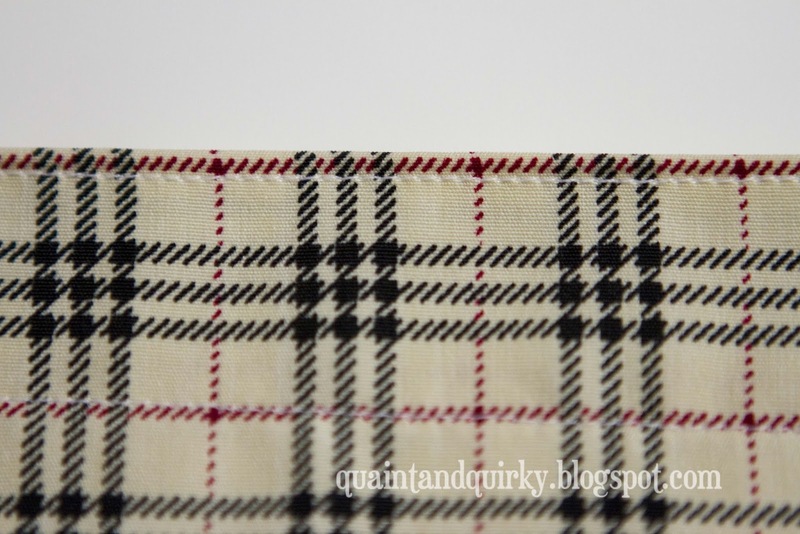 Serge the bottom edge (no serger - fold under 1/2," then press). 2. 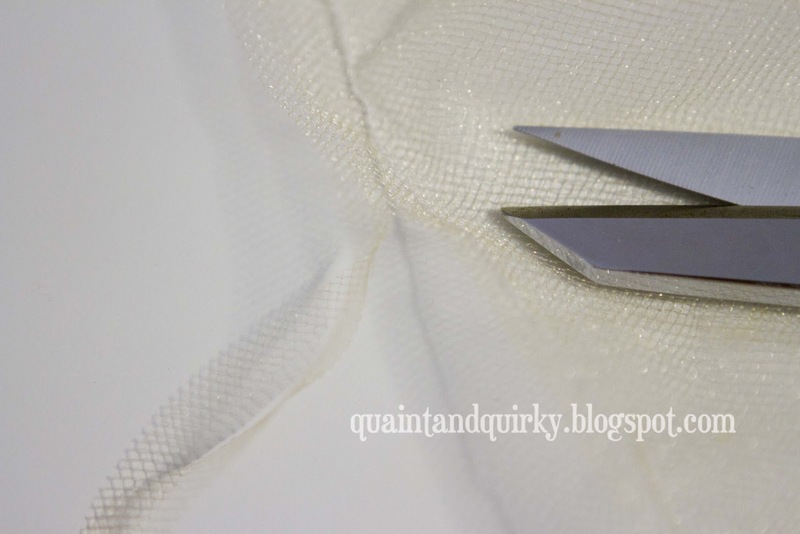 Sew in place, close to the serged edge. 3. 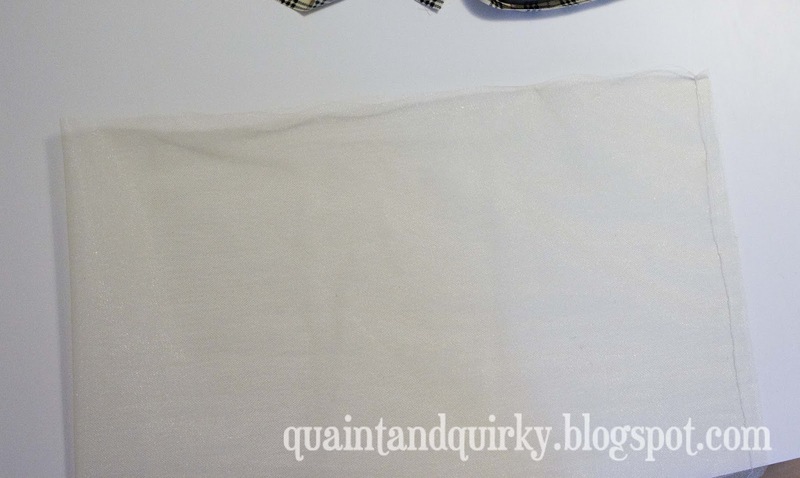 Serge the top edge (no serger - fold under 1/2," then press). 4. 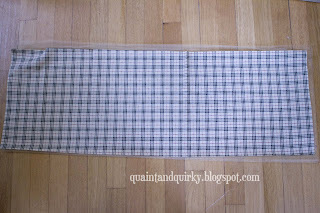 Sew the short sides of the skirt together (the back seam) using 1/2" seam allowance. 5. Fold over approximately 1.5 inches and press. 6. 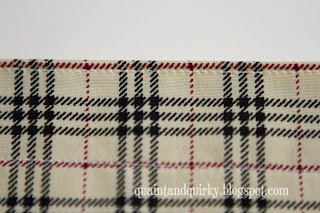 Sew in place close to the serged edge, leaving approximately 2 inches NOT sewn near the back seam. 7. Top stitch close to the top edge of the skirt. 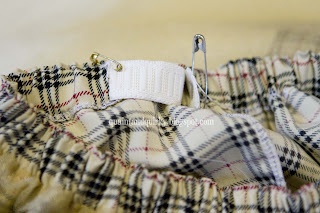 At the end of this step, you should have a hemmed skirt with a casing at the top, but you do NOT insert the elastic yet. Set the skirt aside to work on the tulle. 1. 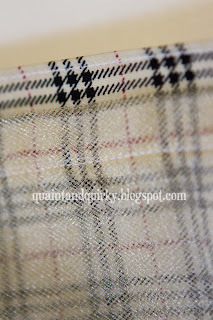 Take the tulle and sew the back seam using a 1/2 inch seam allowance. This is the loooooong side. 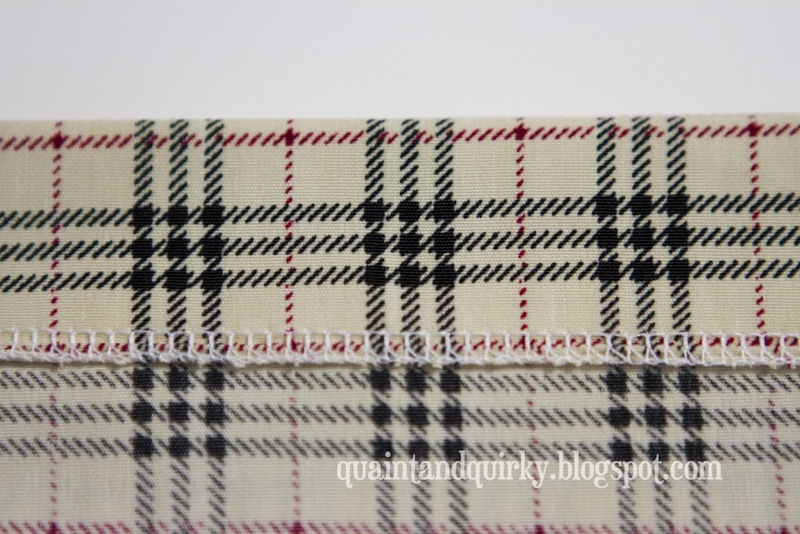 Essentially, you are sewing the side of the skirt that is 4 times longer than it will be at the end. 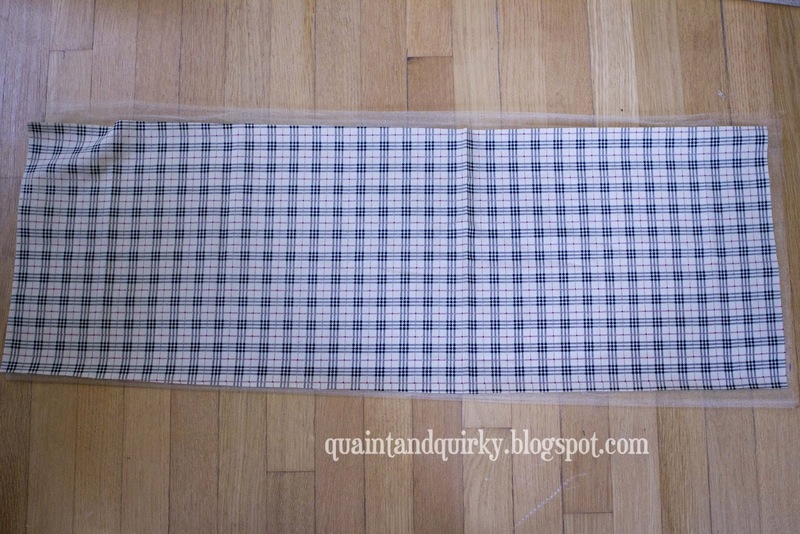 The side I sewed, was the 48" side, using my measurements from above. 2. Cut off most of the seam allowance. 3. Now take the tulle and fold it in half, then in half again. 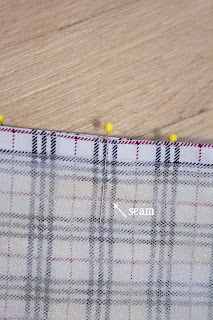 Make sure you line up the seam. When you are done, the top of the skirt will have 2 folds and the bottom of the skirt will have one fold and two loose ends. 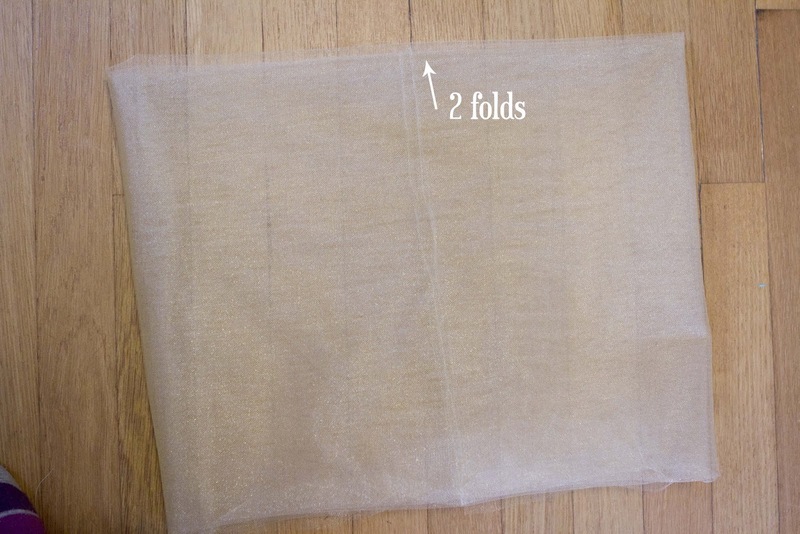 Make sure that you fold so that the RIGHT side of the tulle ends up on the outside! See my purple striped sock? 4. 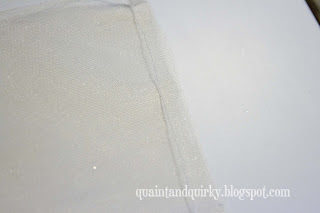 Now slide the tulle over the underskirt so that the 2 folds end of the tulle tube is at the top of the skirt and the back seam of the tulle lines up with the back seam of the skirt. The tulle should be considerably longer than the underskirt. This is okay. You will give it a tulle cut later. 5. Pin the tulle on the underskirt. 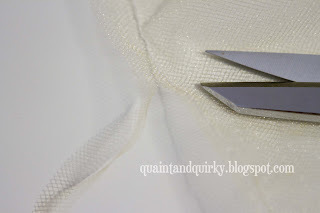 I like to place the folded edge of the tulle about 1/2 way between the two stitching lines at the top of the skirt. 6. Stitch over the existing seam on the skirt. That way, you keep the casing for the elastic big enough to put the elastic through! 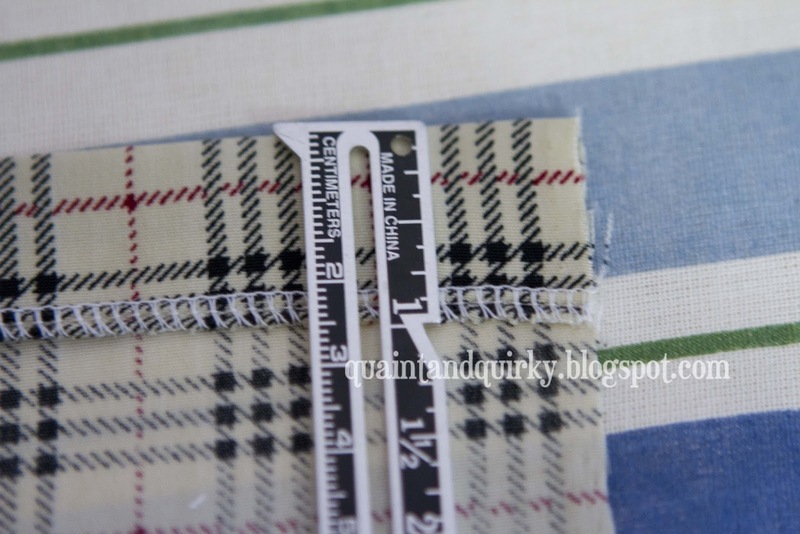 Make sure you leave the 2 inches unsewn that you left when sewing the underskirt! 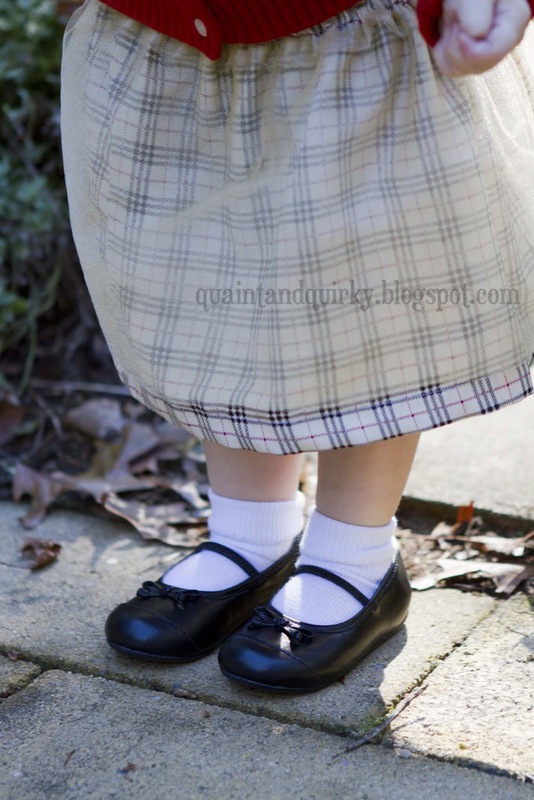 Now you should have one skirt, tulle on top, underskirt on bottom. Step six - Time to finish! 1. Insert the elastic through the casing. I like to anchor one side of the elastic to the skirt with a small safety pin. 2. 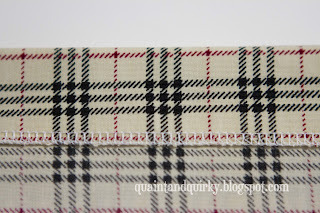 Overlap the ends of the elastic by about 1 inch and sew the ends of the elastic together securely. 3. 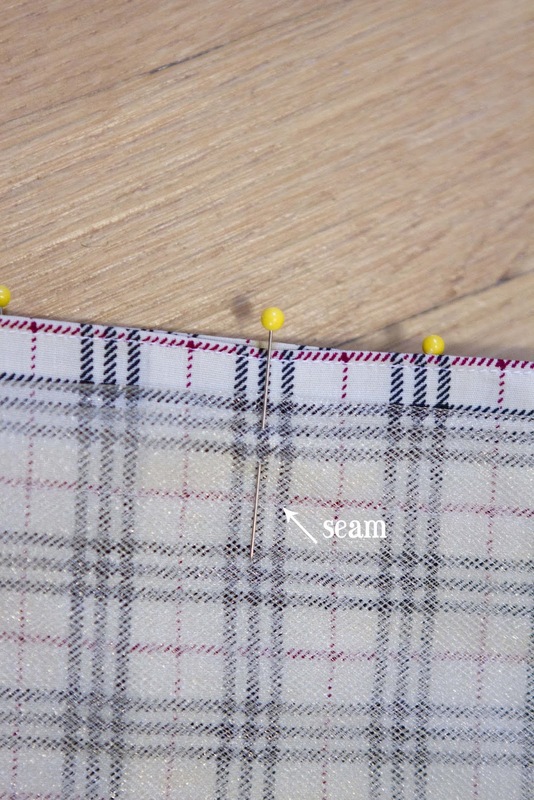 Sew the remaining 2 inches closed on the skirt. 4. Cut the tulle at the bottom to the desired length, either longer than the underskirt, the same length, or shorter! I experimented with this skirt. See the pictures below! 4. DONE! Take cute pictures and send them to me! In the above skirt, the tulle is longer than the skirt. Then, during a potty break, I cut the tulle shorter than the underskirt. 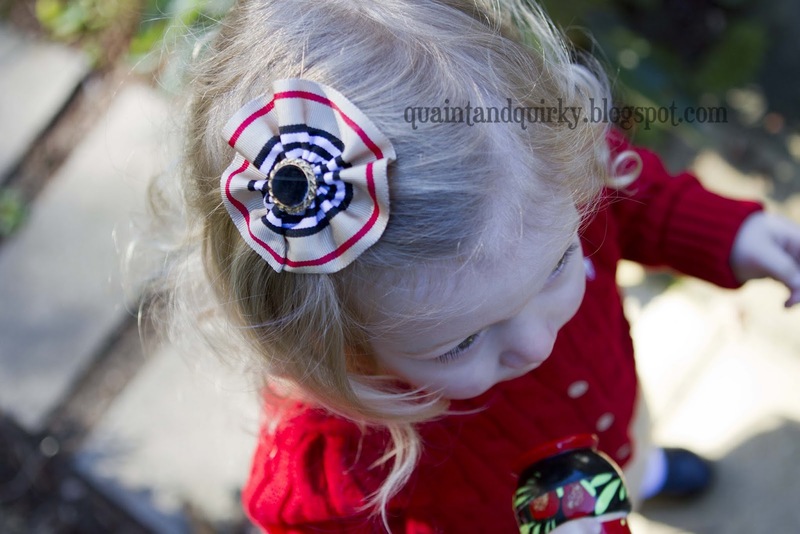 Barrette for sale in my shop! One more - 'cause she's cute! Hello there, You have done a great job. I'll certainly digg it and personally recommend to my friends. I am sure they will be benefited from this website. 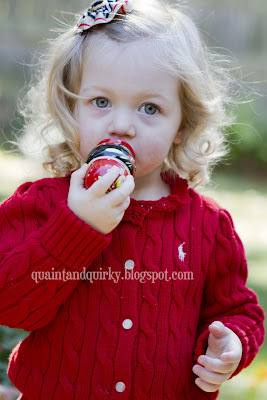 She is adorable. And the skirt is really cute also.